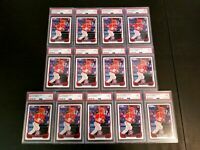 2016 Topps UPDATE Baseball HUGE EXCLUSIVE Factory Sealed Hanger Box-72 Cards ! 2018 Topps Baseball Cards Update Series Factory Sealed 72 Card Hanger Box. bilbre-0 has no other items for sale.